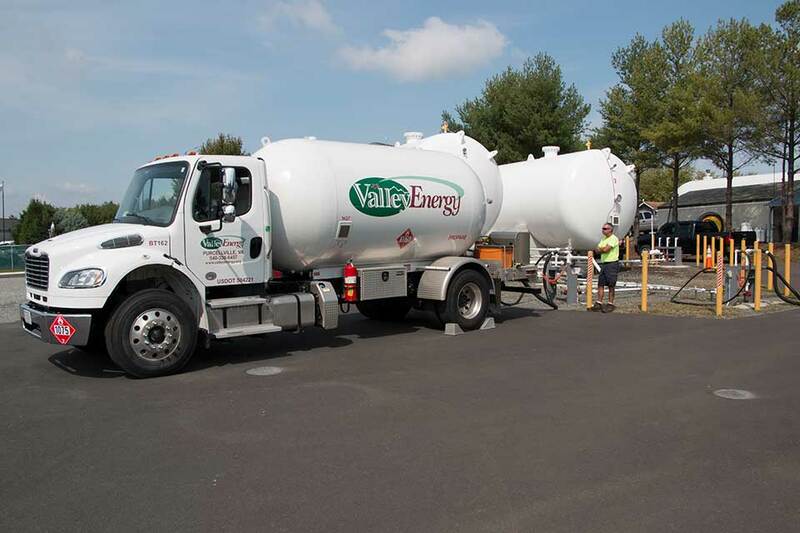 Valley Energy has offered propane service since 1999. With our main office and storage plant both located in Purcellville we are able to provide our customers a prompt response time and a certainty of product availability. Our goal is to establish and maintain a personal working relationship with each of our customers and simultaneously offer a competitive market price. Valley Energy values your safety. Therefore, we strongly encourage all of our customers to take advantage of our Leak Check Program to ensure your propane supply and storage system is operating safely. Many of our customers enjoy the reliability of Automatic Delivery. This convenient service offers peace of mind particularly when winter storms are forecasted! For those with pool heaters, water heaters and/or generators the service can continue year-round, scheduled as necessary. Valley Energy’s payment flexibility sets us apart in the industry. With high energy prices, many customers benefit from spreading out their heating bills over a period of eleven months with SmartPay. There is no additional fee for SmartPay and it only requires a few simple steps to get set-up. Offered annually in late summer, our Pre-buy plan is offered when, historically, prices tend to fall as demand decreases. Thus, once the winter has ended we offer our customers the opportunity to pre-buy their propane for the following winter. Certain restrictions do apply and quantities are limited for the pre-buy/fixed price plan.